MIDDLETOWN, RI (June 18, 2013) – Self-Service Networks, a leader in automated self-service technology, has introduced the first bundled gift card and automated selling application designed for shopping malls. GiftWise+ delivers Self-Service Networks’ proprietary kiosk; mall-branded, open-loop gift card; credit card payments processing and all required back-end services including funds settlement, reconciliation and regulatory compliance in a single product. In the past, malls contracted with multiple vendors and invested significant staff time away from their core business to administer gift cards. Some shopping centers have eliminated customer service centers due to budget cuts which also eliminated or reduced labor needed to sell gift cards. GiftWise+ is ideal for malls that want to simplify the management and complexity of their gift card programs with the added benefit of self-service technology. The platform can be launched in time to accommodate gift card sales for this year’s busy holiday season. Deployed in over 130 regional malls, lifestyle centers and community properties, Self-Service Networks’ kiosks enable 24/7 prepaid card sales in every kind of environment. Additionally, kiosks can be utilized to capture customer data, dispense coupons, handle promotion fulfillment, display advertising messages and other functions. Self-Service Networks is the leading provider of turnkey self-service solutions for kiosk, mobile, and Web. Since 1996, we have helped a diverse range of clients improve overall performance and profitability by delivering engaging interactive experiences. Our clients include PepsiCo, General Growth Properties, Thule, Jones Lang LaSalle and Universal Studios. 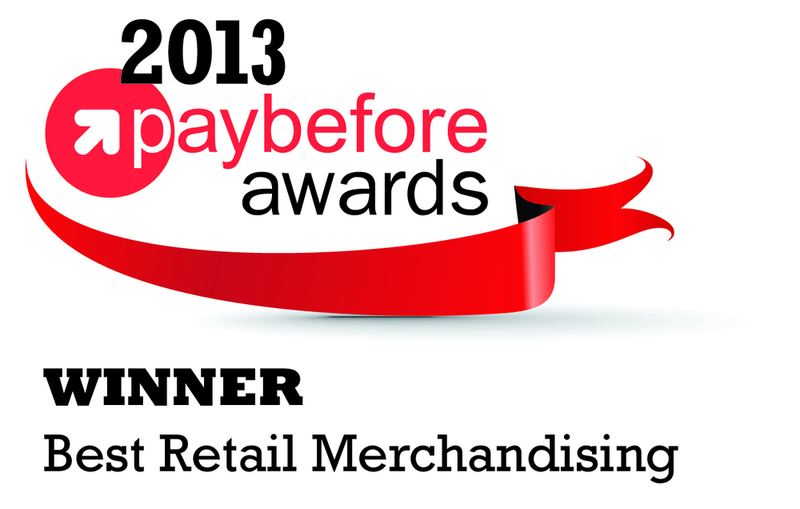 Earlier this year, Self-Service Networks was a 2013 Paybefore Awards winner in the Best Retail Merchandising Category, where the company was applauded for its innovation and delivery of complex prepaid technology. MIDDLETOWN, RI (January 29, 2013) – Paybefore has chosen Self-Service Networks GiftWise Gift Card Kiosk as a 2013 Paybefore Awards winner in the Best Retail Merchandising category. Paybefore Awards, now in its seventh year, is the most prestigious recognition of excellence in the worldwide prepaid and emerging payments industry. The awards are presented annually by Paybefore, whose publications are the leading source of industry information for alternative payments executives. "We are thrilled to have the Paybefore Awards recognize how GiftWise is helping our shopping center clients grow gift card sales and execute unique shopper marketing programs." stated Self-Service Networks CEO, Thomas Smith. GiftWise Gift Card Kiosk was selected by a panel of five industry experts who served as judges for this year’s competition, which—once again—included a record number of entries from around the world. “Paybefore Awards were created to honor the companies and individuals that are at the forefront of innovation as well as successful market implementation across the globe,” said Loraine DeBonis, Paybefore editor-in-chief and chair of the judging panel. Deployed in over 120 malls, lifestyle centers, outlet centers and local communities, the GiftWise kiosks enable 24/7 prepaid card sales in every type of environment. Additionally, GiftWise can be utilized to capture customer information, dispense coupons, display advertising and other functions that help shopping centers drive shoppers to their properties. To learn more about GiftWise visit www.self-servicenetworks.com/giftwise. GiftWise Gift Card Kiosk now will vie for Best-in-Category distinction, which will be announced during the Paybefore Awards ceremony on March 4 at the Prepaid Expo (www.prepaidexpousa.com). And for the first time in Paybefore Awards history, visitors to Paybefore.com will have a chance to vote on Best in Category. The outcome of this vote (counted as one-sixth of the total) will be combined with the five judges’ picks to determine Best-in-Category honorees. Self-Service Networks is the leading provider of turnkey self-service solutions for kiosk, mobile, the Web and digital signage. Since 1996, we have helped a diverse range of clients improve overall performance and profitability by delivering engaging interaction experiences. We have helped clients like PepsiCo Inc., Thule, Inc., and Universal Studios by creating solutions customized to their sales and communications goals – all while lowering operating costs. Let us show you how to empower your customers™. For more information, visit www.self-servicenetworks.com or call 888.666.8346. Paybefore is the leading information provider to prepaid and emerging payments industry professionals, offering the latest news, commentary and analysis. Paybefore’s family of industry publications includes: Paybefore.com; Paybefore News; Paybefore Mobile™; Paybefore News International™; Paybefore Update™; Paybefore Legal™; Paybefore Magazine™, a biannual print publication featuring in-depth articles on the opportunities, challenges and trends in the global prepaid and emerging payment industry; and the only industry directory, Paybefore Buyer’s Guide Connections™, available online and in print. Visit us at www.paybefore.com. Middletown, RI (August 22, 2012) – Self-Service Networks is pleased to announce a newly established partnership with Swipe It Technology, a leading provider of processing solutions for gift and loyalty cards. The partnership will provide Swipe It card issuing clients with the ability to sell their cards via the GiftWise kiosks. Available in outdoor, thru-wall and indoor configurations, the GiftWise kiosks enable 24/7 prepaid card sales in every type of environment. Additionally, GiftWise can be utilized to capture customer information, dispense coupons, display advertising and other functions that help shopping centers drive shoppers to their properties. To learn more about GiftWise visit www.self-servicenetworks.com/giftwise. Swipe It is the premier supplier of gift and loyalty card processing services for businesses of all sizes. Founded in 1998, Swipe It is the experienced partner your company needs to implement and maximize the benefits of a computerized gift card system. In addition to processing services, Swipe It also provides the consulting and supplies necessary to help any size business start profiting from the benefits of loyalty and gift card programs. For more information, visit www.swipeit.com or call 888-794-7348. MIDDLETOWN, RI (November 15, 2011) – Self-Service Networks is pleased to announce that General Growth Properties (NYSE: GGP) will deploy GiftWise, the gift card vending solution, at their properties prior to the 2011 holiday shopping season. GiftWise gives shopping centers a low cost way to present their gift card programs to shoppers. Kim Fuhrman, Vice President, Marketing & Gifting for General Growth Properties, said, "Our goal is to provide our shoppers with an added amenity, convenience, and above all, a great product. We want our shoppers to walk away knowing they just experienced the best shopping experience possible. A gift card vending kiosk is a great service, especially this time of year when we're all trying to fit in holiday and birthday parties during our busy schedules. A gift card is a quick, easy, and thoughtful gift idea." Rick Wessels, EVP for Self-Service Networks, said, "GGP's decision to adopt the GiftWise solution coincides with the release of several significant product enhancements. We have added a broad range of security, marketing and advertising features to GiftWise. It truly is a comprehensive solution for any organization that desires a low-cost prepaid card selling solution." Available in outdoor, thru-wall and indoor configurations, the GiftWise kiosks enable 24/7 gift card sales in every type of shopping center environment. Additionally, GiftWise can be utilized to capture customer information and dispense coupons. To learn more about GiftWise visit http://www.self-servicenetworks.com/giftwise. Located minutes from downtown Reno at the intersection of Interstate 80 and Sparks Blvd., Legends Outlets at Sparks Marina is a premiere shopping, entertainment and dining destination where nearly 50 designer and name-brand outlet stores and restaurants including adidas Outlet, Banana Republic Factory Store, BCBGMAXAZRIA, Forever 21, Gap Factory Store, GUESS Factory Store, Kenneth Cole Outlet, Michael Kors Outlet, Nike Factory Store, Saks Fifth Avenue OFF 5TH and Tommy Hilfiger Company Store. This destination shopping center offers shoppers 100% style at up to 65% off. Legends Outlets also has the regions largest sports store, Scheels All Sports with equipment and expertise for every sport, two 16K gallon aquariums, and a 65’ Ferris wheel. Enjoy Legendary entertainment and dining at Jazz Kitchen, Cadillac Ranch, Grimaldi’s Coal Fired Pizzeria, Fuddruckers and BJ’s Restaurant & Brewhouse. Plus, the region’s only IMAX theater is schedule to open in 2011. For more information about Legends Outlets Sparks including a complete store directory and driving directions, please visit www.experiencelegends.com. For more information, visit www.self-servicenetworks.com or call 888.666.8346. Legacy Village is Northeastern Ohio’s premier lifestyle center located in the Cleveland suburb of Lyndhurst. Legacy Village features more than 58 restaurants and retailers, many of which are unique to the area. For more information, call the Legacy Village Management Office at 216-382-3871 or visit us online at www.legacy-village.com.. Available in outdoor, thru-wall and indoor configurations, the GiftWise kiosks can also be used to dispense coupons, collect consumer opt-in information and deliver digital advertising. “We are pleased to add the GiftWise kiosk to our UltraPoS product offering. GiftWise provides our customers with a unique and effective way to sell cards,” says Ray Stanton, SCL, Managing Director. SCL is the world’s leading foreign exchange and prepaid point of sale systems provider, working with many multi-national clients including TUI Travel, HSBC, Commerzbank, American Express and Westfield Shopping Centres. Established in the early 1990s, SCL has a unique track-record in the development of automation solutions for travel money and prepaid cards in the UK, North America and across Europe. SCL’s staff include not only highly skilled technicians, but also experts in the travel money and prepaid businesses, enabling them to understand and fulfill customers’ requirements. SCL’s UltraPoS is a flexible and proven prepaid and travel money automation system, designed to deliver significant cost savings and efficiency gains. Since its launch almost a decade ago, the system’s flexibility has helped travel agents, foreign exchange bureau and many companies save time, increase profits and end the potential for human error associated with the manual processing of transactions. The system’s inbuilt versatility and scope means it can be used in the processing of a wide variety of products ranging from foreign banknotes to prepaid cards and precious metals. Self-Service Networks is the leading provider of turnkey self-service solutions for kiosk, mobile, the Web and digital signage. Since 1996, we have helped a diverse range of clients improve overall performance and profitability by delivering engaging interaction experiences. We have helped clients like Thule Inc., PepsiCo Inc., and Universal Studios by creating solutions customized to their sales and communications goals – all while lowering operating costs. Let us show you how to empower your customers™. For more information, visit www.self-servicenetworks.com or call 888.666.8346. MIDDLETOWN, RI (September 21, 2009) – Self-Service Networks GiftWise application is the first gift card vending solution to be PA-DSS certified by the PCI Security Council. PA-DSS is a comprehensive standard intended to help software vendors proactively protect customer account data, through the development of secure payment applications. Certification demonstrates that the GiftWise application meets desired security management, network architecture, software design and other critical protective measures. GiftWise empowers consumers with a fast and convenient, self-service method to purchase gift cards, check card balance and more. Click here for additional information about GiftWise. The turnkey GiftWise solution includes installation, technology support, on-site maintenance, a customized graphical user interface and integration with a gift card solution program manager. This integration ensures that deploying the GiftWise kiosks does not require additional reconciliation or accounting procedures. Tanger Factory Outlet Centers, Inc. (NYSE:SKT), a publicly traded REIT, presently has ownership interests in or management responsibilities for 33 shopping centers in 22 states coast-to-coast, totaling approximately 10.2 million square feet, leased to over 2,200 stores that are operated by over 400 different store brands. For more information call 800-4-TANGER or visitwww.tangeroutlet.com.